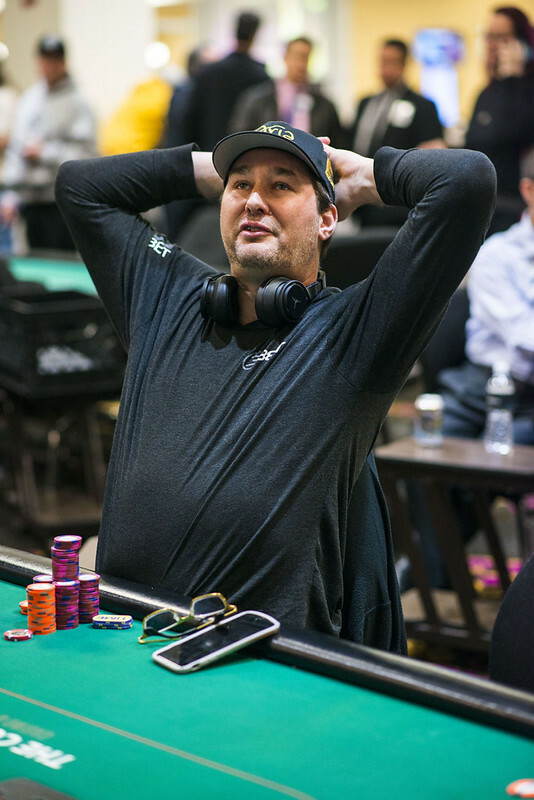 Phil Hellmuth (pictured) raises to 30,000 from the cutoff, Dennis Blieden three-bets to 68,000 from the button, and Hellmuth calls. They check to the turn of a board, Hellmuth checks, Blieden bets 58,000, and Hellmuth calls. The river is the , Hellmuth checks, Blieden bets 129,000, and Hellmuth shoots out of his chair before sitting back down. He uses three of his Time Chips before he calls. “Jack,” says Blieden, as he turns over . 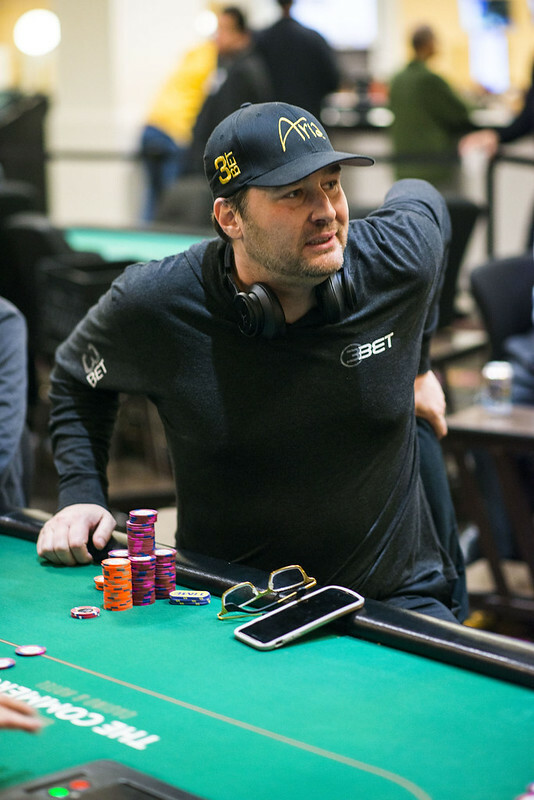 There were about 15 more f-bombs as Hellmuth paced back and forth near the final two tables, getting the attention of everybody in the area.